We drive and are driven. The New Moon in Taurus on May 6, 2016 is bountiful in blissful aspects, a sweet darkening of the Moon to savor and soak within the desires and intentions to manifest in the coming weeks. The Full Moon in Sagittarius that follows this New Moon is extraordinary in dynamism, as it conjoins Mars Retrograde in Sagittarius at the time that Mars opposes the Sun and Mercury stations direct. The Taurus New Moon is an awakening in the solace of pleasure, all the while an uproarious flood of events that will demand focused action awaits on the horizon. The many harmonious aspects surrounding the Taurus New Moon can also bring keen realization into what does not feel right in life, and since the coming climate could create cacophony, it will be vital to utilize the waxing Crescent light of the Moon in the week ahead to make mindful choices aligned with the deepest intentions felt at this New Moon. The New Moon in Taurus forms a trine to Pluto in Capricorn as well as a trine with Jupiter in Virgo. Imagining lines connecting these three sections creates a triangular container in the sky, a configuration known as a Grand Earth Trine in astrology. This passing transit will impact your chart in ways that require unique reflection, but in general signifies stabilizing, harmonious pathways linking the powers of Pluto, Jupiter, and the blackening union of Sun and Moon. Furthermore, the New Moon is separating from a sextile to Neptune in Pisces, while Venus, the ruler of the New Moon, is applying to a sextile with Neptune. The black elixir found in the Taurus New Moon induces magnetism with what comforts and soothes, brings security and safety. Kindling feelings for what balms the Soul now will be valuable medicine to take into the unknown future that holds many climatic astrological aspects to traverse. The lunar cycle commencing now will take us through the final of three last quarter square aspects between Saturn in Sagittarius and Jupiter in Virgo that have been brewing since August 2015. Squares between Saturn and Jupiter always signify monumental shifts in the collective, yet this particular one packs more power as Neptune in Pisces is in opposition to Jupiter and also in a last quarter square with Saturn- creating what is known commonly in astrology as a “T-square.” Neptune’s invisible realm seeps through and erodes the walls constructed by Saturn to contain a sense of controlled reality, allowing Jupiter to expand vision beyond previous conditioned constraints. With all of the earthy trines and sextiles mentioned involving Neptune and Jupiter with the Taurus New Moon, there will be tension between wanting to bask in the comfort of what gives a sense of security versus facing feelings that the underlying fabric of how one finds security is shifting and dissolving. The melting of past forms and constructs that have brought meaning is further amplified by Mars Retrograde in Sagittarius, with Mercury Retrograde in Taurus pulling us inward to the roots of our senses and instincts. The pleasure principles of the Taurus New Moon are bolstered by Venus luxuriating in her home of Taurus, surrounded by her cherished, beautiful possessions. The New Moon ruler being in her home sign signifies greater ease in manifesting Venusian forms, and since Venus also rules the transiting Mercury Retrograde some of the associated mercurial destabilization can achieve a sense of harmony. Venus is also not forming any especially challenging or difficult aspects, and through her melodious aspects with visionary Neptune and Jupiter is in position to facilitate deep bodily awareness of what we need to feel fulfilled and satisfied in life. As the Moon waxes through its First Quarter phase in the week ahead, Venus will also form a trine with Pluto while conjoining Mercury Retrograde. These unifying aspects between Venus with chthonic, subterranean archetypes are fascinating from the perspective that Venus is additionally under the beams of the Sun and engaged in a process of solar purification that can unearth essential Venusian qualities from within. The astrology surrounding the blackening of the Moon in Taurus clearly supports attuning as deep into internal realms as can be managed to uncover buried feelings and awareness of an authentic presence you have been resisting fully embodying for whatever reason. Venus holding space for regeneration that leads to animated ardor is embellished by the asteroid Hathor conjoining Venus in Taurus, and the asteroid Juno in Scorpio separating from an opposition with Venus. 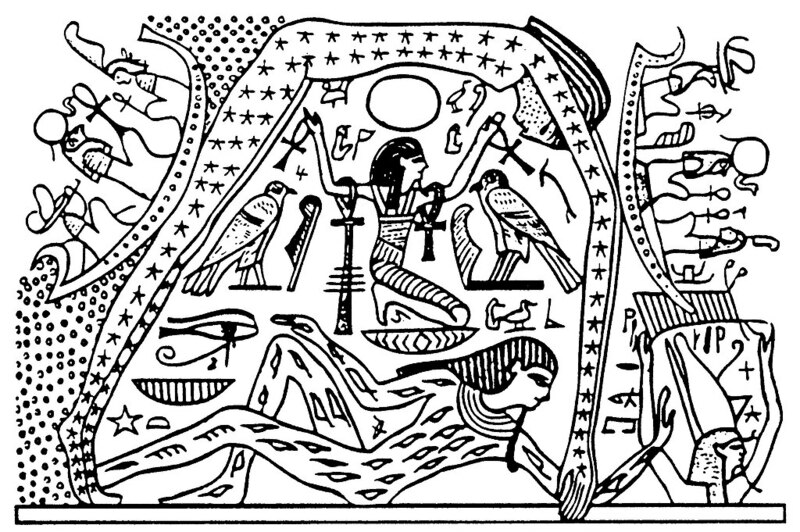 While Venus in Taurus brings images of the fertile soil through which green shoots and wildflowers emerge from the underworld, Hathor is the fertile sky that sources the water that brings life and the starstuff from which we are created. Hathor is a Guide of Souls and a Solar Goddess whose alignment with Venus at the Taurus New Moon befits the Queen of Heaven being under the beams and on her way to a union with the Sun a month from now. Combined with Juno in Scorpio in opposition, Venus with Hathor unveils the values needed to nourish joy from within so ecstatic union with a lover can be felt in our depths without fears of being betrayed, abandoned, or losing our sense of individualism in the merging. As the New Moon perfects, Mercury Retrograde in Taurus is combust the Sun, less than five degrees away and becoming purified in the solar rays. The last time Mercury was united with the Sun was at its Superior Conjunction that occurred at the time of the Libra Lunar Eclipse on 23 March 2016. While Mercury is moving fast at its Superior Conjunction into the Sun and emerges on the other side as an Evening Star increasing in light, during Mercury Retrograde when Mercury unites with the Sun at its Inferior Conjunction it is moving backwards slowly en route to eventually emerging as a Morning Star. This happened last on 14 January 2016 when Mercury was retrograde in Capricorn while trine to Jupiter in Virgo after Jupiter had recently stationed retrograde. At the retrograde union between Mercury and the Sun that will occur on 9 May 2016, Jupiter in Virgo is stationing direct and once again in trine to Mercury being at the heart of the Sun. All the changes in being, the ways in which we interpret and convey meaning from our experiences, that have come to pass since last January are becoming refined and regenerated through Mercury’s position at the Taurus New Moon. A few days after the New Moon on May 9 when Mercury enters the heart of the Sun, it will not be a normal Inferior Conjunction but instead a Transit of Mercury that occurs about thirteen times every century. There has not been once since November 2006 and will not be another until November 2019- with technological help you will be able to watch Mercury traverse across the face of the Sun, not unlike an eclipse though Mercury will only look like a tiny black dot rather than blackening the Sun’s light. Just as the Moon has nodes, and the nodes are the zodiac degrees that mark where eclipses occur, so do all of the planets possess nodes. Mercury’s solar union will occur at 19°25′ Taurus, which is within a degree of the heliocentric South Node of Mercury. As a result, there is an element of the Taurus New Moon that is also connecting us with the descending arc of the full Mercury archetype. 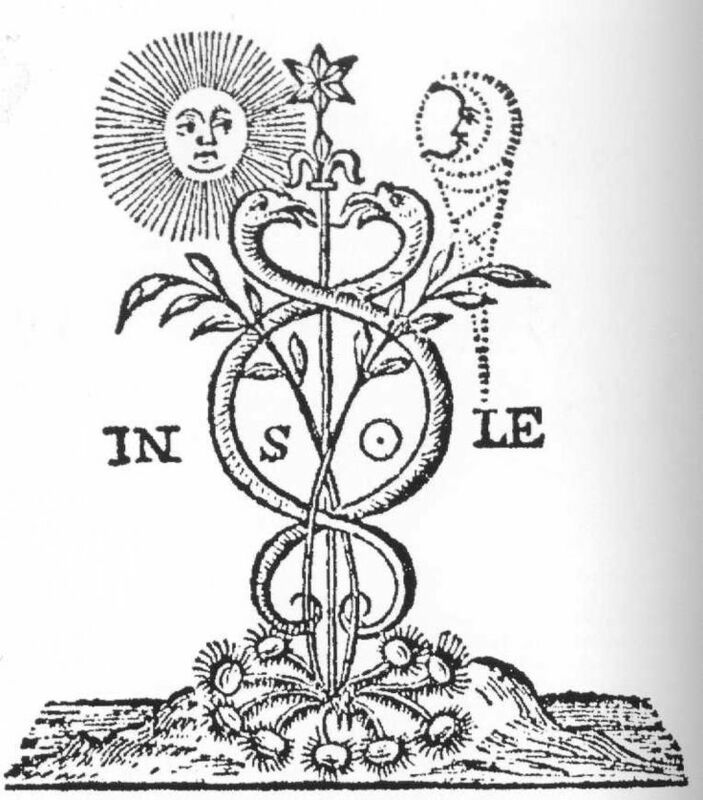 In part, the heliocentric South Node of Mercury being Taurus reveals inner senses, bodily instincts, sensory impressions, and memories as being the source of the Mercury archetype. With Jupiter simultaneously stationing direct in Virgo, the home of Mercury, while in trine to Mercury and the Taurus New Moon, there is a deep reorientation occurring of how we discover and express meaning, as well as the sense of vision we will utilize to guide our choices and actions. The Second face of Taurus that holds the New Moon is associated with the Six of Pentacles card illustrated above by Pamela Colman Smith. In the image we witness a mercantile figure carrying scales of balance in his left hand, while dispensing gold coins with his right hand to figures kneeling on the ground with tattered blankets begging for money. The Six of Pentacles card is typically associated with giving and receiving on the material plane, whether that be through monetary sources or tactile, healing touch. The unifying theme is that there is receiving found in the giving, and giving found in the receiving, and the image of the scales could further be interpreted as signifying a sense of internal balance and authenticity in the process. Through inner harmony transmitted through collaborative exchanges with others, great success and productivity can be achieved in the material realm. The fecund but unquickened earth, the alchemical salt, is visited by the bright and active beams of the Sun, the sulphur . . . Yet the matter is not brought to fruition solely by means of a single conjunction, no matter how vigorous. Once planted, the matter must be attended to carefully and consistently. One cannot decide to water a plant when one chooses, nor can one make up for neglect by a double application of effort the next day. Consistency and dedication must join fecundity and passion to complete the picture this face provides. While there are many harmonious aspects surrounding the Taurus New Moon, the larger astrological atmosphere also includes Mars Retrograde, Mercury Retrograde, and the t-square between Saturn in Sagittarius, Neptune in Pisces, and Jupiter in Virgo. As a result the ease of undulating energy surrounding the Taurus New Moon is catalyzed by an actively shifting astrological environment. Taking time for rest and regeneration if needed is always advisable, but to achieve the success and prosperity heralded by the Taurus New Moon will require disciplined acts of integrity followed through to completion. We have an exciting month ahead, beginning with a New Moon supporting deep visions of abundance, followed by an electrifying Full Moon that will instigate dynamic movement. Rilke, Rainer Maria. (2004). Sonnets to Orpheus. Translated by Edward Snow. North Point Press. p.s. for those who may wish to view mercury’s transit of the sun via NASA tech, i have just reblogged a post on how to do that. Yes, I am hoping for a turn towards the better in my life that is for sure. The second half of May is much more dynamic and full of change-inducing aspects, so this could also be very growth oriented and not just difficult changes. Thanks for reflagging that about the Mercury Transit! I was able to watch the last Venus Transit but have never seen a Mercury Transit before. from your lips to god’s ears: amen. i am expecting good things from jup – and in your case (of opposition), i am wishing that you receive warmth,beneficence, acknowledgement in real terms from an other. Thank you for sharing such lovely words. This is indeed something I am hoping for in this lunar cycle!